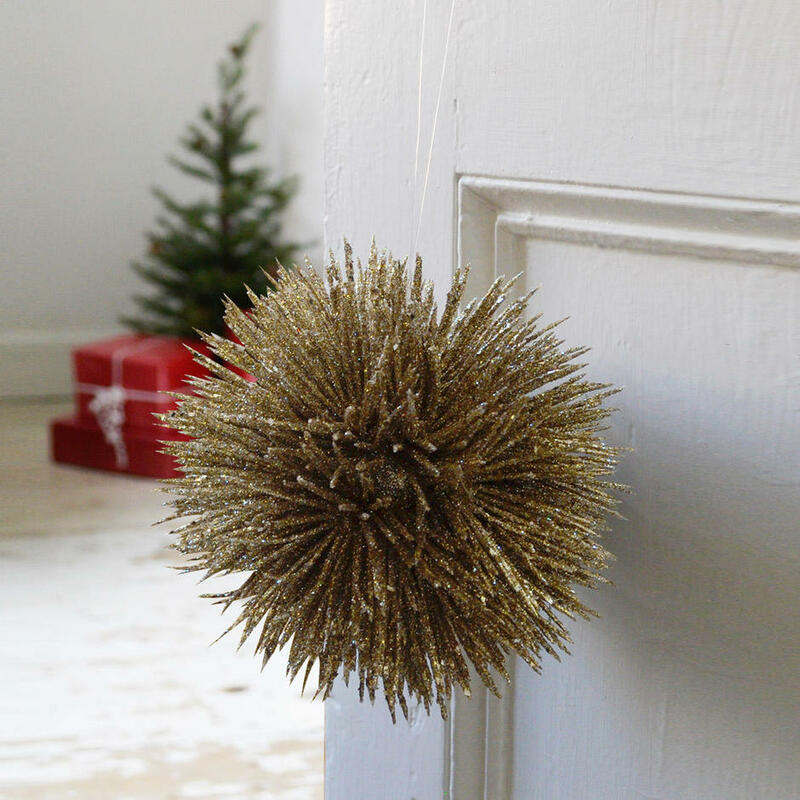 Wonderful Glittered Spiky Pompom Christmas Tree Decoration. 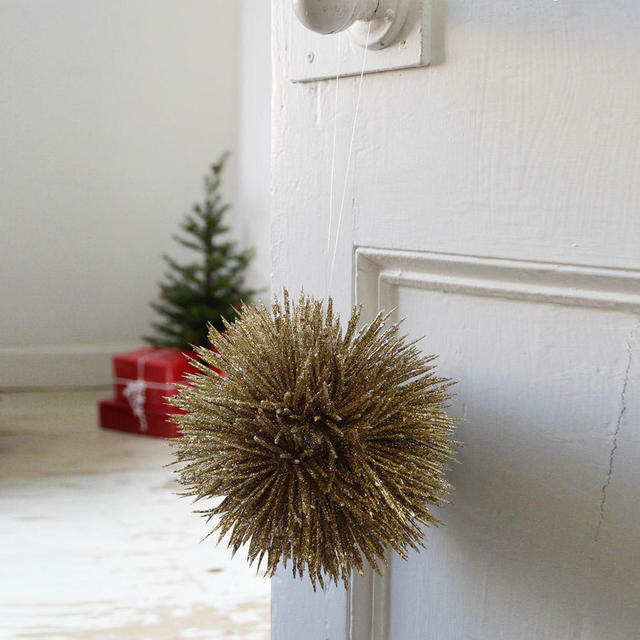 When you need something a little out of the ordinary, and the traditional Christmas baubles don't just cut it, this wonderful Christmas tree decoration is for you. 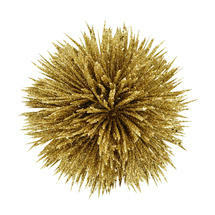 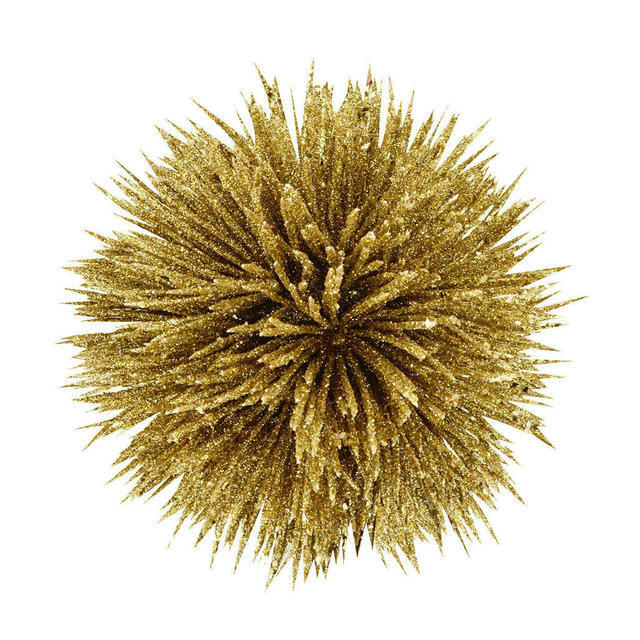 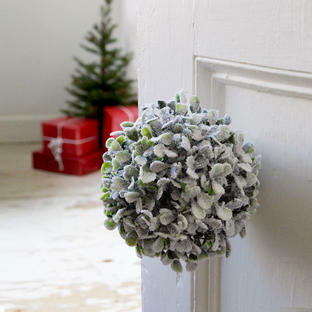 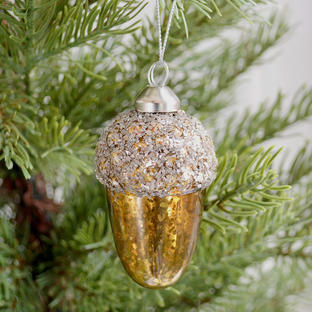 Grouped together, this Glittered Pompom would work just as well in a bowl as the centre-piece of your Christmas table.